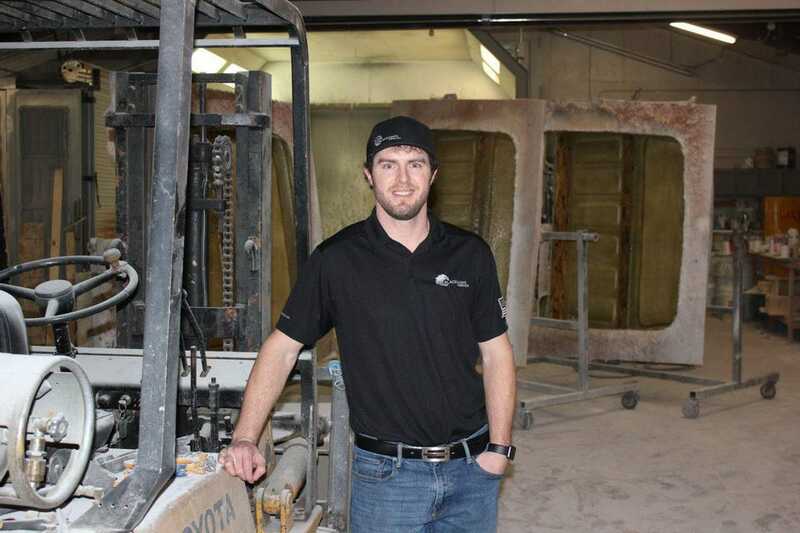 For Tyler Deike, entrepreneurship isn’t just a career choice — it’s in his blood. Coming from a family through several generations of entrepreneurs — and as the saying goes, “like father, like son,” before even learning to drive, Deike and his brother launched a lawn care service in their hometown of Mankato, Minn. Throughout high school, the Deike brothers’ innate entrepreneurial spirit helped them grow their lawn business from just a handful of accounts into a profitable part-time job. When the time came for college, Deike chose to enroll while still servicing a roster of nearly 30 lawn clients. This early introduction to business taught Deike some valuable lessons he could not learn in college, such as the importance of partnering with professionals. For example, one of the lessons he encountered on the accounting side was that services rather than products needed to be taxed, which wasn’t obvious to him and wasn’t taught until he reached out for professional guidance. With some life lessons and a degree in industrial engineering under his belt, Deike began his career in corporate America. At the same time, he continued to operate the lawn care business in the background (and growing 20 to 40 percent year-over-year). His career path led to a variety of engineering roles, but as a self-proclaimed “idea guy,” Deike wasn’t completely satisfied. He’s the type of dreamer who wakes up in the middle of the night and won’t go back to sleep unless he’s written down his next great idea — especially when it comes to starting his own small business. After eight years of dreaming, Deike found his big idea — and it wasn’t starting another business from scratch. It was cultivating something that already existed, all while retaining a secure income to support his growing family. Deike noticed a gap in modernization — small businesses in big cities show greater advancement than those in rural areas. To him, this breakdown signaled an even larger gap between the current and potential state of thousands of businesses across the country. Just like that, his instinctive entrepreneurial spirit had found a new outlet. So Deike started looking for the perfect business to rejuvenate, enlisting the assistance of business brokers and online marketplaces. His broker identified an opportunity to buy a fiberglass business, Blackhawk Fiberwerx, but Deike was hesitant. With this vision in mind, Deike went forward with the purchase. He developed a friendly, trusted relationship with the owner, who wanted the business to successfully continue. Once the purchase was finalized and Blackhawk Fiberwerx secured, Deike found himself in an interesting predicament: The business had too many orders, and not enough tools or people to fulfill them. So he got to work with his revitalization plan. The shop’s floor space increased by 40 percent, and production tripled with minimal added headcount. By streamlining processes and getting rid of waste, the factory is now capable of producing four to six times the product volume it was at purchase. Today, Deike is focused on staying prepared for future opportunities and expanding the existing product lines. There are currently two new projects in the works, some outdoor living products and powersports accessories, with plenty of other ideas in the pipeline. As for the lawn business, it’s still growing — and the time has come for Deike to exit. He plans on leaving the business to a trusted employee who he’s taken under his wing. Buy an existing business. Established companies offer first-time businesspeople a more secure investment than starting from scratch. With an established cash flow, customer base and employee roster, some of the most difficult aspects of launching a business already are taken care of. Get professional help. Don’t be afraid to ask for guidance. Business sales and transactions are complicated, and often require professional guidance from attorneys, business brokers and bankers. If you find a set of trusted partners who genuinely want you to succeed, the sale is sure to be a smooth process. Field all your options. There are many places to look when you first decide to pursue business ownership. Use all available resources to ensure you find the perfect fit for your future plans. Get assistance from a business broker, check the newspapers or use an online marketplace — exhaust every avenue to be sure of your decision. Taking the leap into business ownership can be risky. However, with the right team and the right business, you can mitigate the risk and start the next era of your career — this time as your own boss.